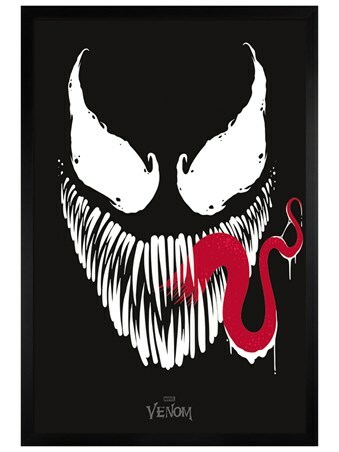 Baring his razor sharp set of teeth with a wicked grin, Venom is ready to move on to his next host! Whipping his tongue out of his mouth, he knows there's something tasty inside this metal travel mug. 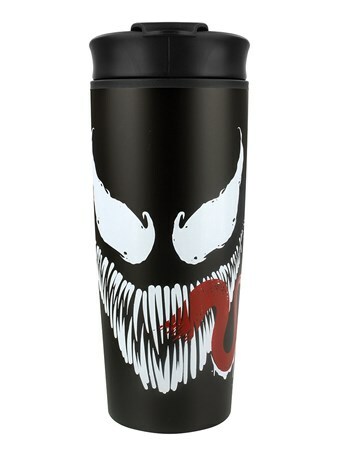 Fill with your favourite hot drink to enjoy on the go while paying homage to this epic Marvel character. 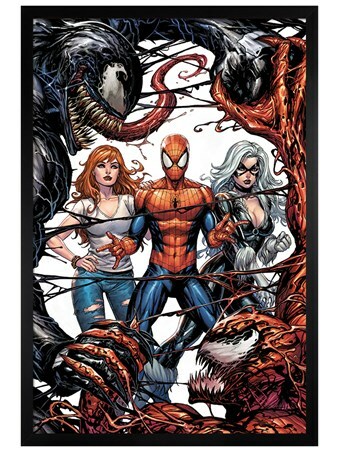 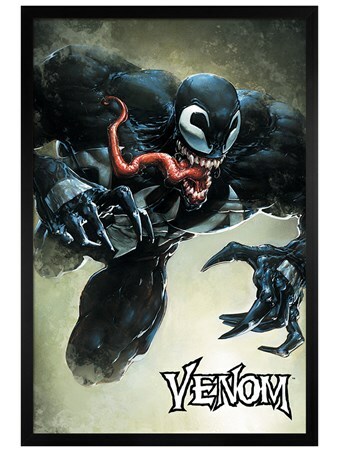 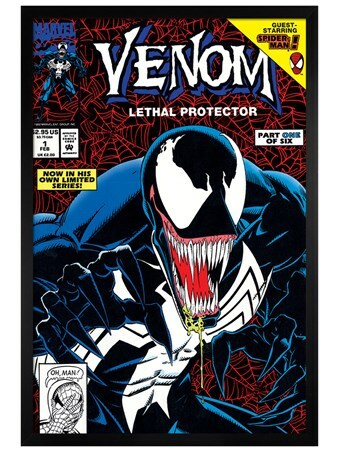 High quality, framed Venom Face, Marvel travel mug with a bespoke frame by our custom framing service.